There’s nothing quite like riding your motorcycle down an open road in beautiful weather. It lets you see the scenery, experience the elements, and be more involved in the drive. However fun it may be, riding a motorcycle is inherently dangerous. 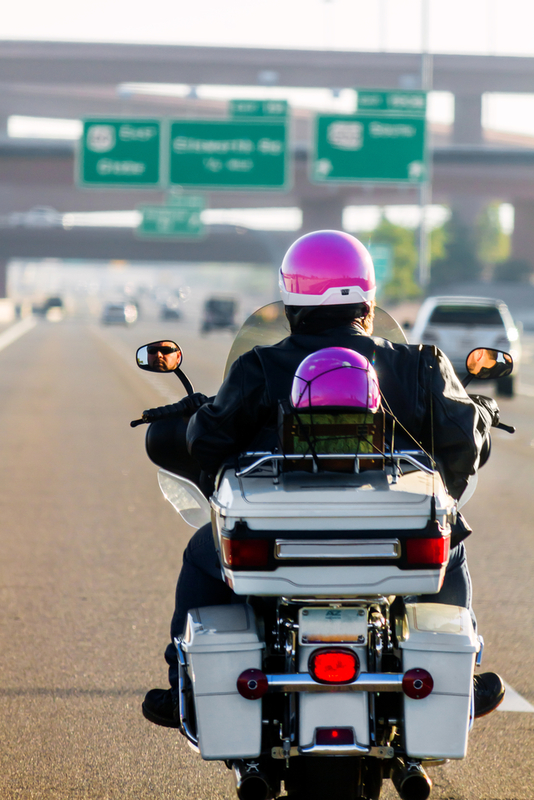 While the right motorcycle insurance policy will protect you and your bike from out-of-pocket repair expenses, it’s better to avoid a crash in the first place. Here are a few of the most common causes of accidents so you can be prepared to stay safe on the road. When you’re on your motorcycle, you take up far less space than a standard car. This means it’s more difficult for vehicles to see you on the road, especially when they’re moving quickly through a left turn lane. If the car fails to see you as you pass through the intersection, you run the risk of being broadsided. The best thing you can do is be hyper-aware anytime you go through an intersection. Keep your hands on the brakes and be prepared to use them if a car starts pulling out of the turn lane. If you’ve ever driven a car, you know that even the smallest models have blind spots. If you’re accidentally riding in a vehicle’s blind spot, the driver may end up hitting you when they switch lanes. To prevent this, be mindful of where a driver’s blind spot is—if you can see their face in their mirrors, you’re visible to them. If you can’t see them, they can’t see you. It’s tempting to ride as fast as you can, and while speed is easy to maintain on straight roads, it can be a major hazard when you need to turn. If you’re going too fast through a corner or hit a gravel patch under your front wheel, it’s likely that you’ll spin out and crash. While the severity of the accident will vary based on how fast you’re going, it’s best to slow anytime you approach a curve. This will save you from having to file a motorcycle insurance claim. Want to update your motorcycle insurance policy to better protect yourself and your bike? Contact the team at Joe Williams Insurance Agency in Kershaw, SC. Their dedicated insurance agents will work to find you the best coverage for your needs and budget. Whether you’re looking for auto insurance or want to add a motorcycle to your policy, they’re ready to help. Like them on Facebook for the latest updates and call (803) 475-2374 or visit them online for a free quote today.